Start by making sure that your profile is completed especially the information about your specialized industries and your sourcing/procurement experience since you will be able to receive sourcing requests or “Sourcing Jobs” based on your profile. Once you have received a sourcing job, you can check the details about what are the requirements and specifications of the product we are looking for, and then decide whether to accept the job. After accepting a sourcing job, you can start doing research to find the right suppliers and contact them to get their quotes for the product we are looking for. Once you have collected all the necessary information, submit it to us to complete your sourcing job. 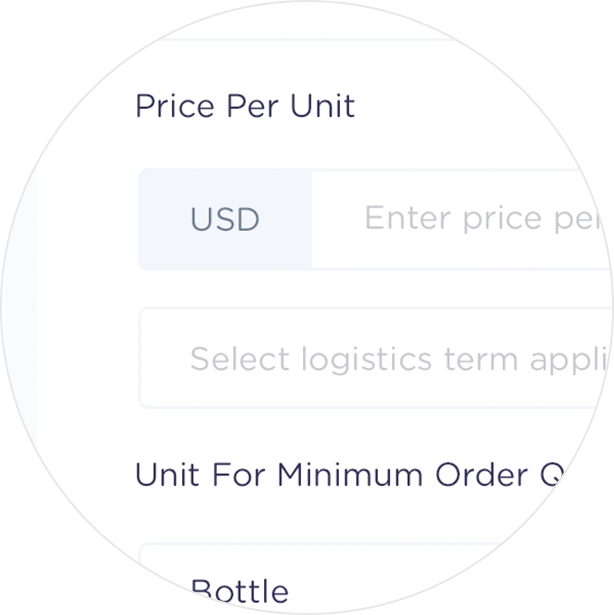 Once trade is closed through the supplier you recommend, you will be paid for 25% of the trade commission generated from the trade. When Tridge is able to sell the product sourced from your suggested supplier to a buyer, you will be able to earn 25% of the total trade commission that Tridge receives generated from the trade. Tridge is a global sourcing company specializing in food-related categories. With our network of “Tridge Finders,” we are able to identify reliable food suppliers around the globe and gain access to the markets that are difficult to enter otherwise. We emphasize on working with suppliers that can provide high-quality products at the best prices. For the benefits of our clients, we also ensure that our suppliers are reliable and maintain high standards in a consistent manner. Tridge Finders are freelance agents who usually have more than 5 years of work experience, on average, in specific industries. They share not only their professional experience but also valuable business connections with Tridge. With their help, we are able to operate at a much larger scale than other sourcing companies do. Our network now has over 28,000 Finders in over 80 countries and is capable of sourcing a wide variety of food products.